I really don’t know where to begin. 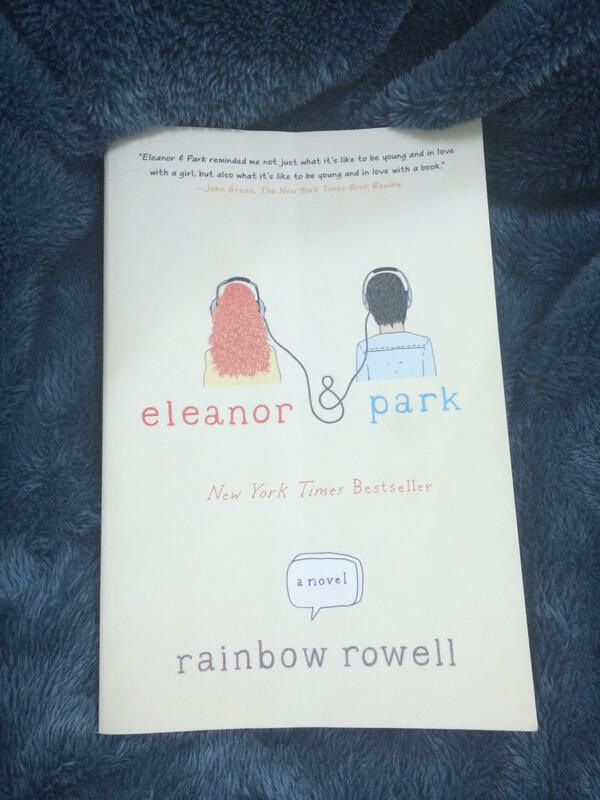 I’m in love with Eleanor and Park…with their story…and with love itself! Young adult genre is fascinating me more everyday. It is no longer that dull genre which addresses what might be trivial topics for adults, but rather deals with everyday struggles of teenagers and adults, too. This kind of friendship/love is amazing. It is built on solid foundation…on something will never change as appearance. Park and Eleanor will always enjoy the company of each other. To find someone to share with him your love of something ( art of even cooking.!) is one of the greatest gifts Heaven could bless you with. When I read this book, I listened to every song Eleanor or Park suggested to each other…I didn’t read the comic books though 🙂 Would I sound ridiculous if I say I envied them? I really did ! I want to share my passion with someone like Park, someone would appreciate my books and songs ! This novel makes me nostalgic to my friends who for a time shared me their love to art. I still have a playlist a dear friend created for me back in 2013.! Those kind of friends I will never forget.! Eleanor & Park tackles other important social issues, like divorce, inter-ethnic marriages, bullies , etc. The author approaches these topics in a very realistic way. Not making the novel revolves solely around Eleanor & Park’s romance brings characters to life. Eleanor & Park are not isolated from the world; they are part of this world…experiencing its happiness as well as its miseries. Choosing the 80s as the novel’s setting is also interesting. The book cover is brilliant. It represents their connection …the music that unites them…the headphones that brings them together…. their passion.! It also shows us Eleanor & Park from the back….we don’t see their faces…All we need is to connect with them…with their soul…listen to them and share them. At the end of the novel, I was confused when Park received Eleanor’s postcard.! I’m OPTIMISTIC. I believe that she said ” I LOVE YOU.” Still, I wasn’t sure so I googled the ending to see if there is something the author herself wrote ( Don’t want other speculation 🙂 ) And in one interview, she actually said they are happy words, and she might write about Eleanor & Park AGAIN. ! I really would love to know more about them…I want them to be happy…because somehow I feel if they are happy, I’ll be happy too ! I really believe in their passion and love for reading and music.